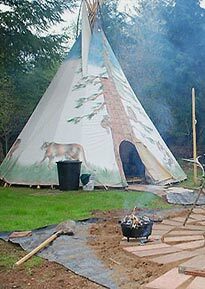 If you like to have a totally individual tipi that stem from your own imagination, here is your chance. 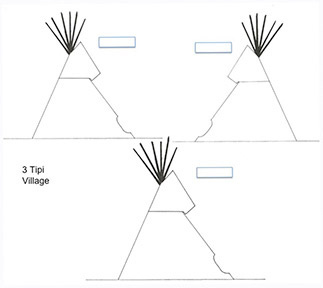 We have provided a blank diagram for you to custom design your dream tipi. You can design the Top, the Top-bands, the Pinning Stripe, the Bottom Skirt and the Middle-area the way you envision your tipi. 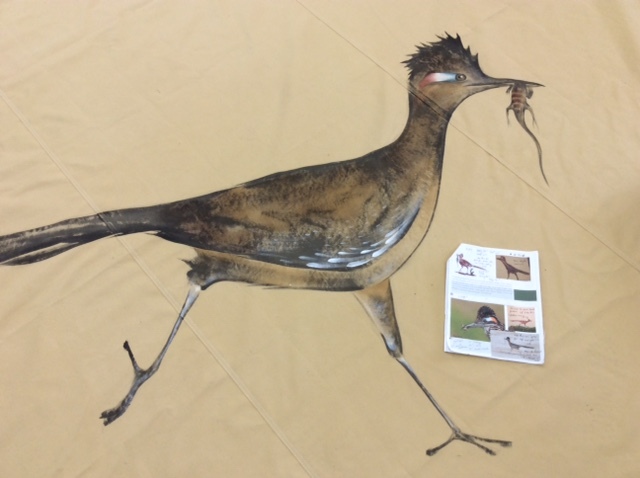 You can paint it, draw it, sketch it, or make a collage from photos and pictures. We offer three color palettes, but we can also mix custom colors. 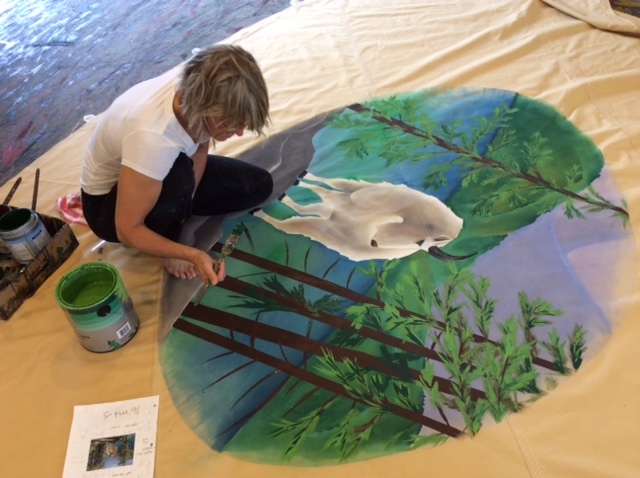 Our two artists, Kris and April, are very talented and are able to paint about anything you come up with, so go ahead and explore your intuitive visions. 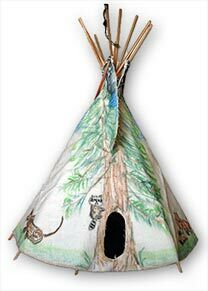 Some folks get really creative and make significant little models of their dream tipis. Others send us elaborate graphic art drawings where we can see how much fun they had playing around with their computers – no matter how you express your own design, e-mail us or send us your models, pictures, graphics or drawings and we will be happy to come back with a cost estimate for you. Belinda’s paper model with toothpick poles. Will and Melissa getting creative with 2 ft.
fabric model . . . and the beautiful reality! 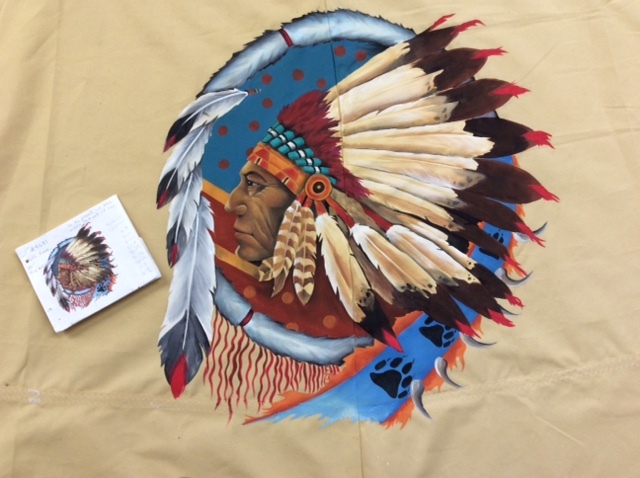 Wonderful example of an image that a client wanted to have painted on the back wall of their tipi liner. 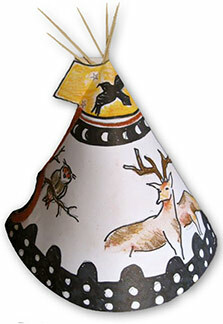 A beautiful Indian chief shield design! 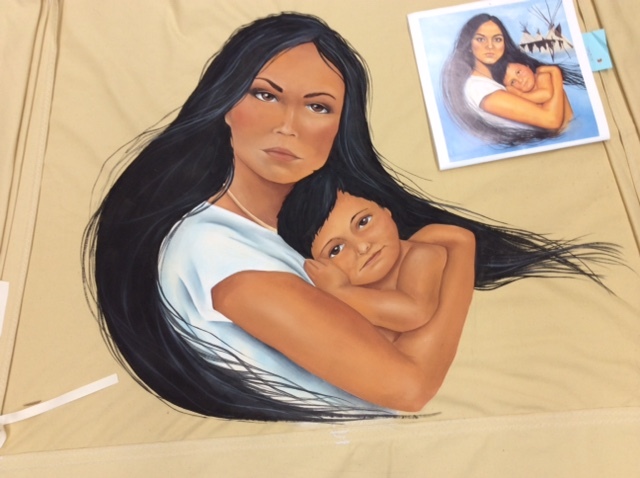 Hand painted artwork of a mother and her child. For Campground and Retreats, we offer layouts of Tipi Villages for any size, as the example of the 3 Tipi Village and the 6 Tipi Village show. They are jpg files that we can e-mail or fax to you, so you can print them out and color them as many times as you like. 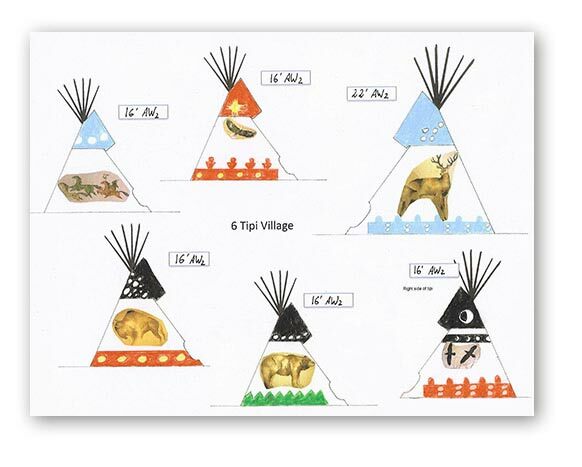 If you’d like to have a specific number or layout for a Tipi Village, just e-mail Nicole at – Nomadics@tipi.com with your request.